JFK Heating and Cooling, LLC is proud to serve the Beavercreek community! About Beavercreek, OH - Happy to be your hometown Heating & Air Conditioning Contractor! Located in Greene County, OH, Beavercreek is a large Dayton suburb, and with a population of over 45,000 residents, it is the largest city in the county. The area was settled in the early 19th century, and a portion of Beavercreek Township was incorporated to become the city in February 1980. This city is found near the Wright-Patterson Air Force Base, which provides employment for many of Beavercreek’s residents. There are numerous other job opportunities and industries found in the region, which is part of the reason that Beavercreek has been ranked as one of the top 100 places to live by CNN Money. 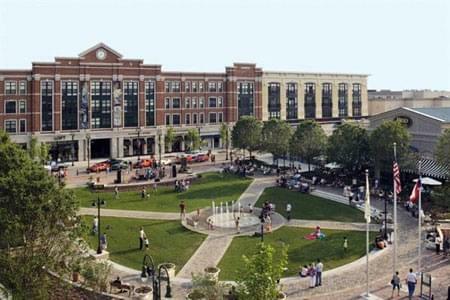 Beavercreek is home to a variety of attractions and things to do. There are two main golf courses located in this community: the Country Club of the North and the Beavercreek Golf Club. Shopping is popular at the Mall at Fairfield Commons and the Greene Town Center, but specialty shops like Winans Chocolates and Coffees, the Beavercreek Florist, and Books & Co are also found in the community. Other notable attractions in the area include the Woodhouse Day Spa, the Gravity Spa Flotation Center, and Beaver-Vu Bowling. Beavercreek is situated in between humid continental and humid subtropical zones with distinctive weather patterns throughout the year. Summers in the region are hot and muggy, with high temperatures in July reaching the upper-80s. Tornadoes are also popular during this season leading into the fall, so it is crucial that residents have access to central air conditioning to keep their homes safe and comfortable during the most severe of weather conditions. Autumn tends to be mild and leads to a cold but dry winter. January is the coldest month of the year, with average high temperatures reaching the mid-30s. The community only sees about a foot of snow per year, on average, but it is crucial that residents still invest in a heat pump or furnace in order to keep interior conditions warm throughout the season.